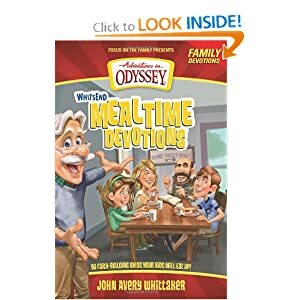 With 90 Faith building things to enjoy while eating with your children, this book has many ideas to help keep your children, you and the family all on track to building faith. The idea of this book is to talk while you're sitting down at the table and enjoying your meals as a family. This not only helps to build faith, but builds stronger minds and families. It helps with spirituality and is great for family quality time too. I recommend this book for several reasons. The main one is that every family should eat at least one meal a day around the table for quality time. You learn more about your family and even yourself when doing this. It also shows in studies that children that do this, tend to have higher IQs. I highly recommend this book. It builds faith, family time, devotionals and even builds stronger minds.